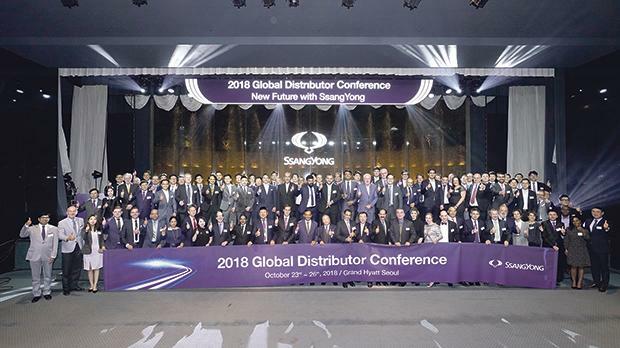 SsangYong 2018 Global Distributor Conference. Ssangyong Motors SsangYong Automotive Ireland Ltd (SAIL) director Sandro Mallia, along with SsangYong Motors Malta Ltd general manager Joanne Bartolo Chircop, will be travelling across the globe representing Famalco and Malta respectively at the 2018 SsangYong Global Distributor Conference in the South Korean capital, Seoul. The conference was set up to celebrate the impressively rejuvenated Korean brand, as well as discuss the overall business performance and the company’s future plan. Following the acquisition of Mahindra & Mahindra in 2011 and a substantial investment by the Indian corporation, SsangYong has seen significant improvements over the last decade. Assisted by the continuous improvements, modifications and releases of new models, SsangYong has been able to successfully initiate and maintain a strong brand name in mainland Europe. Frequently praised for its excellent range of SUVs and rugged four-wheel drive tech, the Korean company has impressed drivers with its new technology and new models, including the Rexton, Tivoli, Tivoli XLV, Korando and Turismo, all of which have been very well received by car enthusiasts and critics alike. While, as of yet, SsangYong is being tight-lipped with information about the 2019 upcoming models, representatives of the Maltese delegation under Famalco Group have expressed their excitement with the new line-up – which features a fresh look on previous SsangYong models, as well as a new models under the Korean brand marking its growth and eco-friendly mindset. To view the new SsangYong vehicles, visit the SsangYong Motors Malta showroom in Attard, which is open Monday to Friday between 9am and 6pm, and on Saturday from 9am to 1pm. For more information, call 2339 2340/1 or 7979 8998. You may also send an e-mail to info@smotor.mt for more details. SsangYong Motors Malta is a mobility business unit within Famalco/Building Businesses.